N$55.00 for children between 6-14 years of age. Young children & babies no charge. 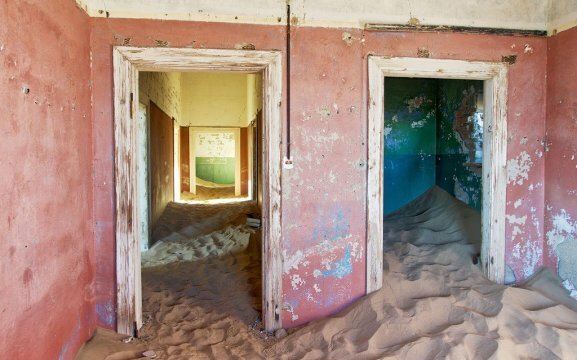 Deep in the south of Namibia one will find a deserted former German colonial town that was once a hive of bustling activity and riches. 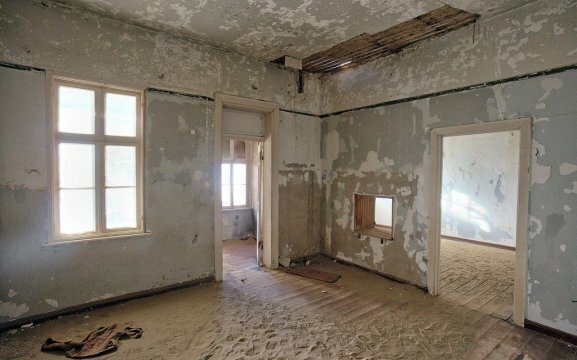 Today Kolmanskop is totally deserted and has become a popular tourist attraction. 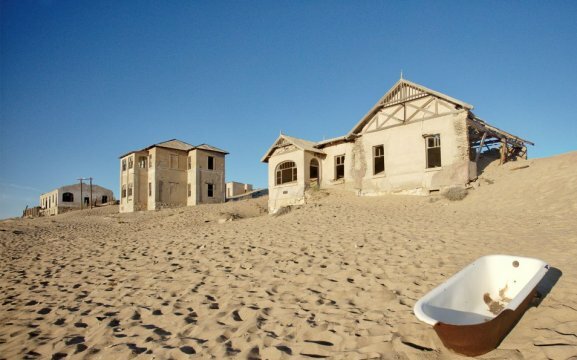 Kolmanskop Ghost Town is situated about 10 km’s inland from Luderitz. 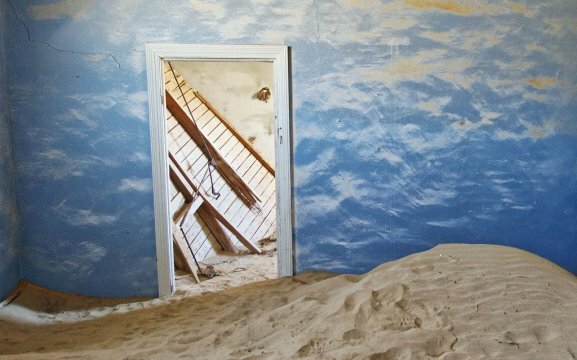 With the passing of many years and the harsh desert like conditions and the constant wearing away from the sand that is ever present the town of Kolmanskop is a sad reminder of its former glory. 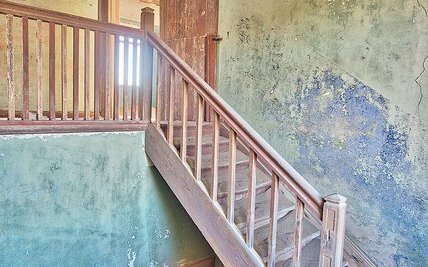 Instead it now offers a fascinating insight into the lives of its former inhabitants. 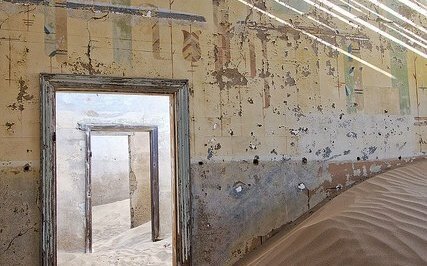 The story of Kolmanskop started in 1908 when a sparkling stone was discovered amongst the sand near a railway line. A man by the name of August Stauch was convinced this stone was a diamond. 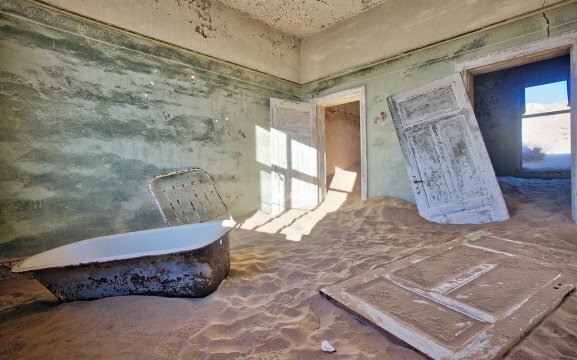 The news spread rapidly and this German town grew rather quickly. Many elegant houses were built and soon a hospital, ballroom, power station, school and theatre followed. This little town continued to grow until the 1920’s. 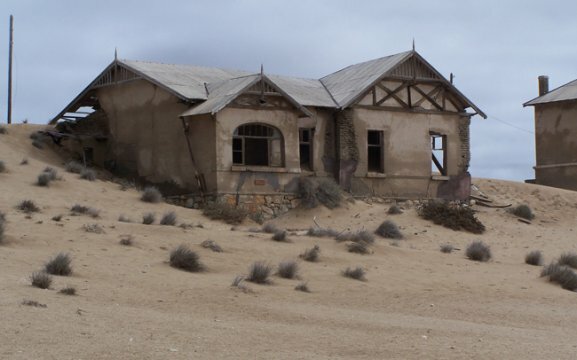 After World War 1 the town started fading away as this was the year that diamond prices crashed and a few other important discoveries were made. 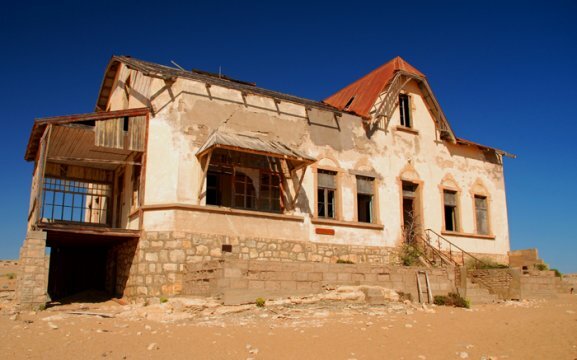 Richer diamond deposits were found further south and people started to move to Oranjemund. 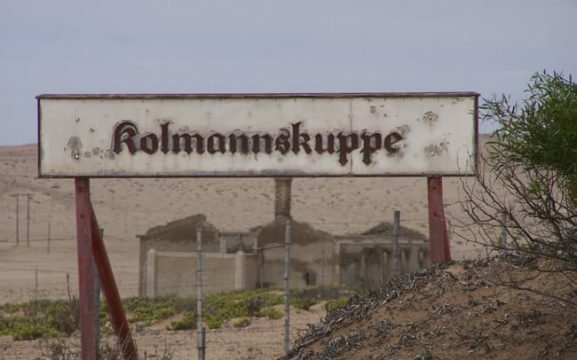 After 40 years of Kolmanskop it sadly became completely deserted and died out. 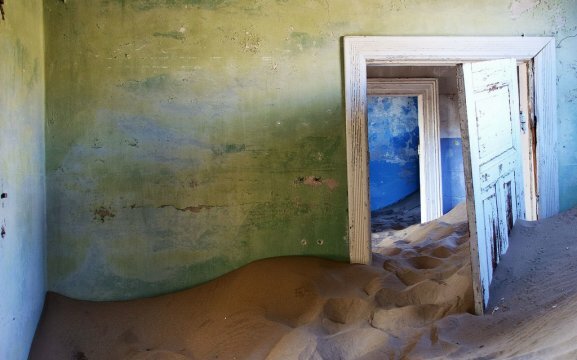 Today it is a ghost town, with crumbling ruins. 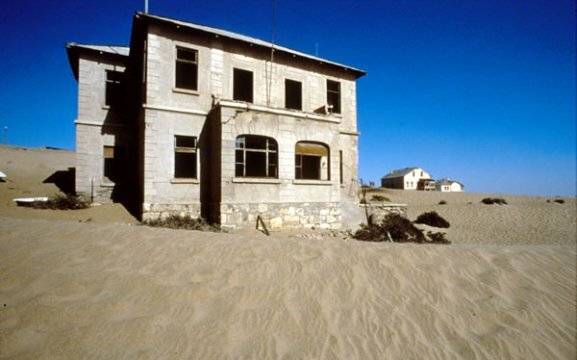 De Beers restored a number of buildings in the year 1980 and established a museum, which is now a tourist attraction. We offer guided tours, which provide the history of the former mining town, the diamond industry back then and of today. 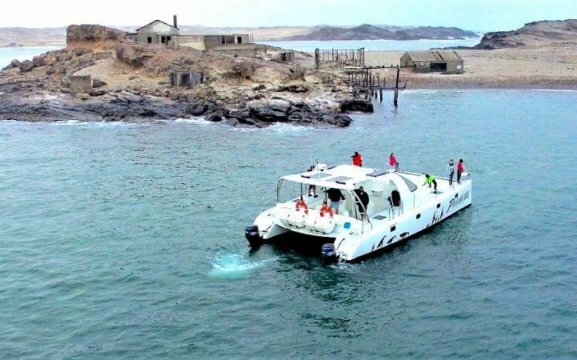 We also have guided safaris to Lüderitz. At the museum we have a restaurant with all sorts of food and drinks. For more dramatic photographs, we recommend to go either at sunrise or sunset. 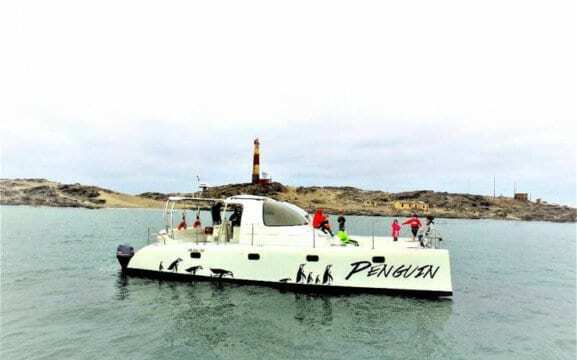 We also highly recommend that you do a Penguin Catamaran Tour.